CoralRx and its companion the Quarantine System. A 99.9% effective team. 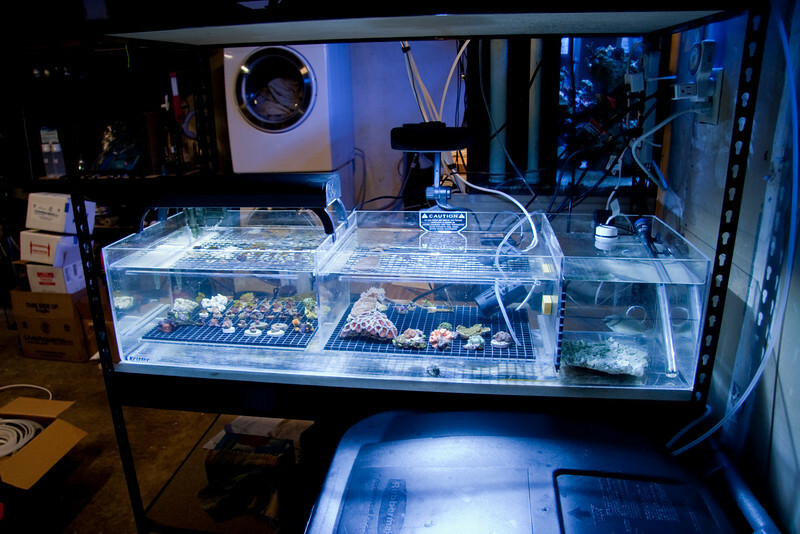 When keeping a reef tank in your home, there are many variables that have to be managed. One variable that can be managed almost entirely yet is still the downfall of many an aquarium and causes the exit of many people from the reef keeping hobby are coral pests. It is very easy to buy a coral, bring it home, and just add it to your aquarium. The dark side to doing that is that what you put in your tank typically introduces many unattended guests. Think of it like Vegas, if you play this game long enough you are guaranteed to lose. The silver lining here is that with a little effort and some tank parts you probably have laying around, you can avoid adding pests to your tank altogether. 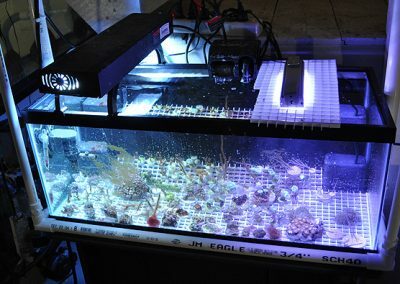 Keeping a reef tank is one of those rewarding experiences that also come with its fair share of frustration. One of those frustrations is introducing parasitic and predatory organisms into our display systems that we never intended to. Hitchhikers come in many forms, and these unwanted guests can wreak havoc and devastate the organisms we work to keep in our display systems. But (dah dah dah! “resounding trumpet sounds behind me”) there is hope, and this bit of advice on how to setup a quarantine system, despite the size of your location will be your saving grace. What is a quarantine system anyway? Basically, a quarantine system is a separate tank etc. 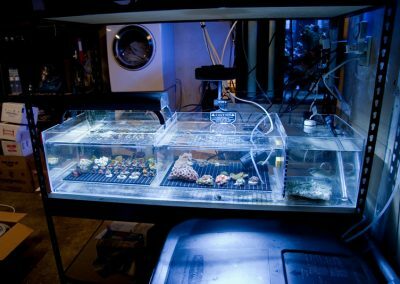 where you can place coral frags, colonies, inverts, and fish to be observed and treated before you introduce them into your display tank. Since we are discussing Coral Pests in this series and we instruct you not to use CoralRx on invertebrates we will only be discussing quarantining corals and dipping corals in the next segment Week 2 of 52, but in the simplest of language, a quarantine tank or system is a place to observe and treat corals for a variety of pests or diseases, in a controlled environment before you introduce new specimines into your display tank. To view the range of pests that CoralRx is confirmed to treat visit https://coralrx.com/coralrx-treats/ and see pest photos and a brief description of each pest. How should a QT system be built? 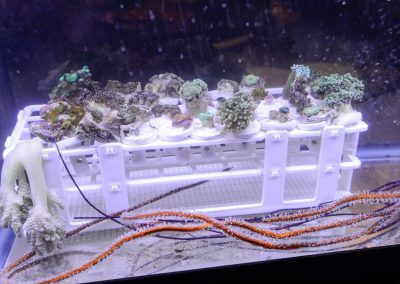 In all honesty, the quarantine system should be as simple as you are able to sustain, meaning that a simple tank, a hang on back (HOB) power filter (minus the carbon) and some frag racks are about all you need to successfully quarantine your corals. This time should be between 4 and 8 weeks or longer if you feel that it is warranted. Obvliously if you have an infestation on your new frags or colonies of montiporra eating nudibranchs, you want to fully break the lifecycle with multiple dips in CoralRx over the course of the quarantine time and observation periods to make sure you catch eggs that have not hatched which cannot be seen because they are hidden in crevices or in hard to see places on your frag. 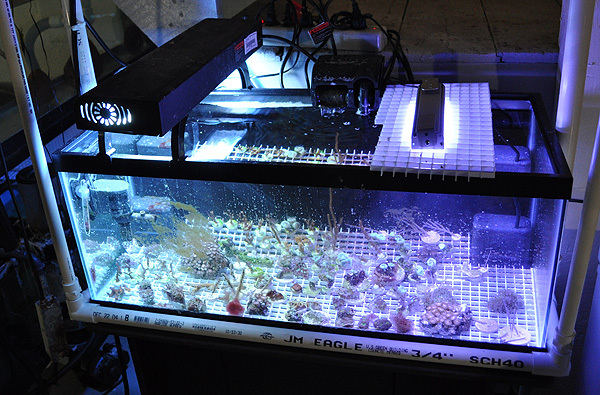 Quarantine systems must meet the minimum survival needs of corals while supporting the ability to clearly visualize and or remove corals for inspection and treatment. This is key, easy to view and easy to remove and treat if you need to. My corals are in the quarantine tank and they seem to look ok what now? Once your corals have been initially dipped in CoralRx and introduced into the QT system, this is now the time where patients and keen observation skills are important. Look at the underside of each frag and the frag plugs, look at and observe where the frag is glued on to the plug. This is typically where you will see the eggs of the majority of pests we encounter in the hobby. One other precaution you can take is to remove the frag from its mount and toss the plug and just place the frag into the QT without the plug. Once you have initially dipped in CoralRx and taken all the other precautionary steps to remove pets you deem necessary, you can then start an observation and dipping regimen that follows the same pattern over the next few weeks. In the morning, observe each frag and check its underside for bite marks, receding flesh, or obvious visible pests. Next observe each frag after lights out with a flashlight. Nighttime is when we often see specific pests that may come out of rocks and have been able to escape the initial CoralRx dip. Remember, never add CoralRx directly to tank water or to your display, always add it to water that is taken from the QT or Display system, and then place frags back into your systems only after they are rinsed with clean tank water. If you see pests in your quarantine system, then you must re-dip in CoralRx and extend the quarantine time again. It is recommended to extend the QT stay by 4 more weeks after each round of dipping is required for newly discovered pests. 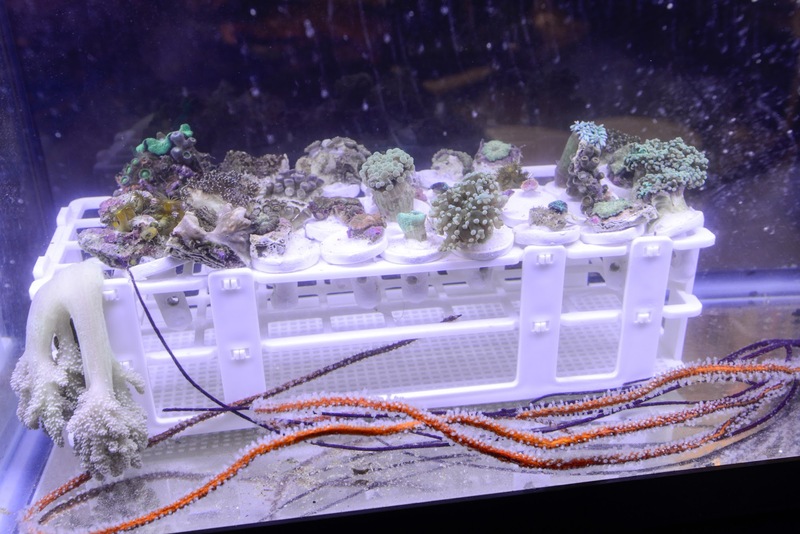 Quarantine systems are your best defense for preventing pest infestations in your display or fragging systems when used in conjunction with CoralRx. CoralRx alone is a tremendous way to kill pests introduced into your system, but QT and CoralRx makes an almost infallible system. 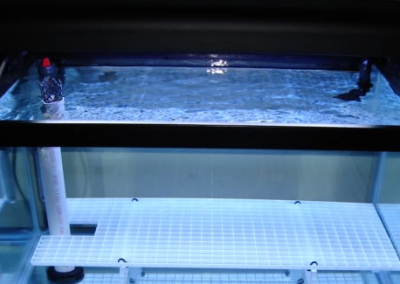 Below are some examples of simple quarantine systems/tanks that we found on the internet. We are not endorsing one setup over another, just showing you simple setups that you can do in any size space. The most important thing to take away from this is always Dip your corals and to quarantine.